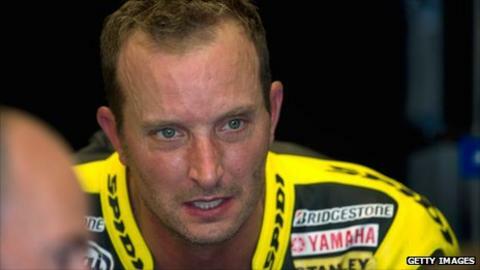 Colin Edwards has confirmed he will leave the Tech 3 Yamaha team to ride for newcomers Forward Racing next year. The departure of the 37-year-old leaves a space alongside British rider Cal Crutchlow in the Tech 3 garage, with Bradley Smith and Eugene Laverty both linked with the space. Edwards said: "I've always been a good test rider and I'm happy that this will be my next challenge." Meanwhile, Jorge Lorenzo was quickest in practice for the San Marino GP. The reigning champion edged out series leader Casey Stoner, while multiple world champion Valentino Rossi had a torrid day on his Ducati. He could only post the 11th quickest time and Crutchlow also struggled, finishing 15th. Lorenzo said: "To be honest I didn't expect so much change because we improved by more than one second. We are now quite close to a victory I think. Casey and Dani [Pedrosa] are still so fast but at least we are there with them."